This semester, I have been studying abroad in Tel Aviv, Israel. Although I love living in Israel, my study abroad semester has also served as a chance to explore Europe as a young adult. This semester has been a journey to learn about myself and my role as a Jew in the larger world. I have learned about my responsibility to my people, my responsibility to do charity and my desire to embody the values that Israelis exhibit. However much I have learned this semester, by choosing to study in Tel Aviv, I shielded myself from the beliefs of the larger world and got to ignore other’s biases against Israel for one blissful semester. The hard truth is that anti-Semitism is rampant. I don’t see it often at the University of Michigan, nor was it obvious where I grew up in the suburbs of Chicago, but sitting at this café in Barcelona I began to understand how prevalent it is in the larger world. People see skewed versions of events; the news is not reliable. About a month ago, a three Palestinians ran up to a group of Jewish people standing at a bus stop and began stabbing them. They were neutralized by nearby security forces. News the next day read, “Three Palestinians Shot Dead in Israel.” No wonder people think the Israelis are terrorists; this is what they have read in the news! Unfortunately, when I dealt with this anti-Semitism several nights ago in Barcelona, I don’t think I handled it correctly. Instead of engaging in an intellectual discussion of the politics of Israel, I let my emotions get the better of me. I refused to debate or educate someone who to me seemed uneducated and intolerant. I walked away and tried to clear the experience from my head. Three days later, I still think of it often and wonder how many more people in the world think like that Spaniard. Before we left for Europe on spring break, we took off all of our Jewish jewelry, in preparation to travel through France and other spots in Europe known for rampant anti-Semitism. My necklace with my name in Hebrew letters, my bracelet with my favorite Hebrew phrase, and a Jewish star ring got left behind as I shed my obvious Jewish persona for one that could be accepted worldwide. I felt a pang as I did so feeling the pain of hiding something I normally wear proudly. I was embarrassed to hide this part of me and angry that people could hate me for this part of my life I am so proud of. Besides sharing my experience being a Jew in the larger world, I would like readers to take one more thing from this blog post. Don’t just judge before you know. Learn what you can. If possible, come to Israel. See the sites, see the beauty of friendship among the different religions. Absorb the history; you wont regret it. Last week in Jerusalem, I found myself speaking to an older Christian Indian man who had come for meetings at the Google office in Tel Aviv. He started telling me about his experience in the Old City and how he had found himself weeping in front of the Wailing Wall and felt an intense connection for the place and had begun to understand the beauty of Judaism and the incredible nature of the Jewish people. Speaking to him gave me such pride and confidence in the future of Israel. If we have more people in the world like this man who was open to coming to a new place, kept his mind open and simply absorbed the things around him, then things may be okay. He taught me not only that people must be open-minded about Israel, but also to keep myself open-minded. I must go see new things, understand new perspectives, and visit with new people with a curiosity and interest, but leave judgement behind. 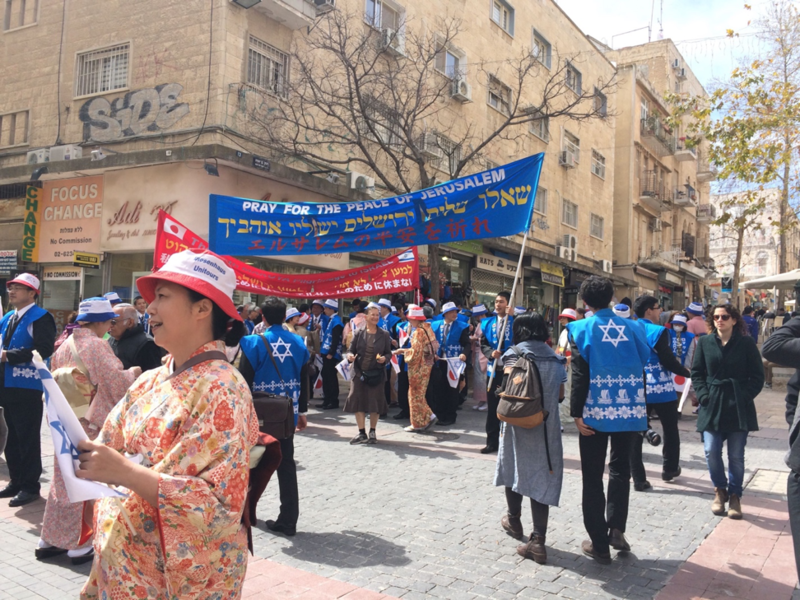 The picture I have shown here is from one trip to Jerusalem, in which we found a Chinese Christian mission trip to Israel. They walked up and down the streets singing songs in Hebrew and giving people paper origami. It was beautiful to see different cultures come together in this ancient town and gave me such hope and pride in this city. Their message was simple and read clearly from the sign they proudly display. Together, Christian, Muslim, Jewish, young, old, democrat, republican, whoever we are, together we can pray for the peace of Jerusalem. 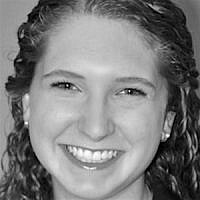 Emily Sheridan is a Junior at the University of Michigan studying Business Administration. She spent a semester abroad at Tel Aviv University and is now a summer intern at Quill.